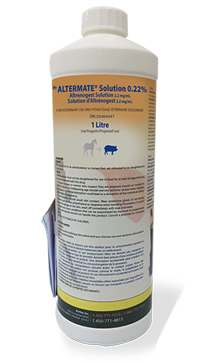 PrALTERMATE® Solution 0.22% mimics the action of progesterone and blocks the cyclical release of gonadotrophins and thus the development of estrus. Following cessation of treatment, pituitary inhibition ceases and normal development and maturation of the follicles returns, leading to a return to estrus and ovulation. 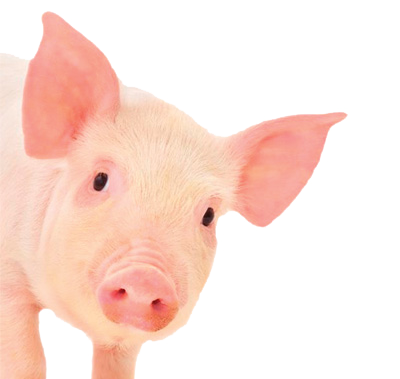 The predictable return to estrus (generally 5-7 days following cessation of treatment) allows for estrus synchronization in a pool of cycling gilts. Ask us the detailed product sheet in PDF format by filling out our form.